In 1941, as the Soviet Union reeled under the hammer blow of blitzkrieg, with most of its air force destroyed on the ground on the first day of Operation Barbarossa, it looked for pilots wherever it could. Nothing could get in the way of the war effort—even the endemic sexism of a regime that preached equality but in practice was everything but. The third of three, the 588th Night Bomber Regiments, was the only one that was all-woman. Hardly coincidentally, it got the oldest planes, Po-2 biplanes, and the toughest missions. And despite terrible losses, a crushing cycle of night-after-night missions and the patronizing contempt of many of the senior commanders, it proved an astonishingly successful, 23 of the so-called “night witches” being made Heroes of the Soviet Union. 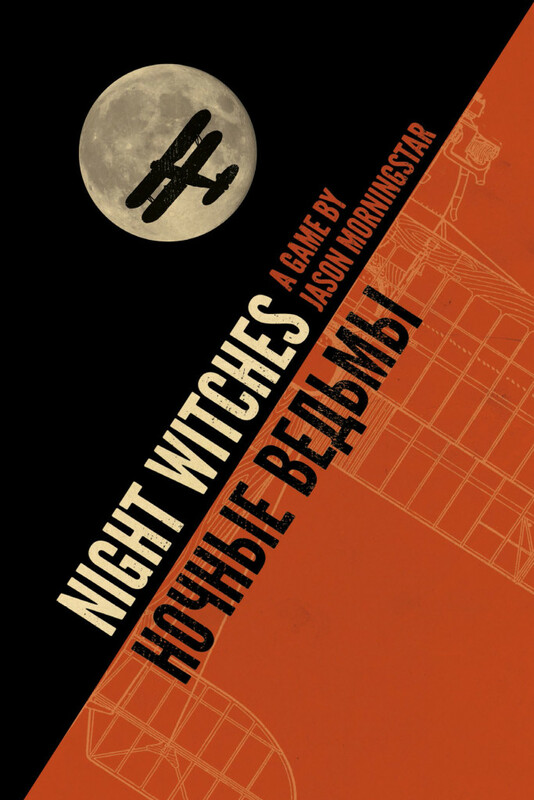 Night Witches the game, derived from the Apocalypse World system, pits a team of players against not just the challenges of night-time bombing raids in obsolete aircraft but the ingrained sexism of the Soviet military command and the privations, rivalries, intimacies and intolerances of a high-stress life close to the front line. This is just a pre-play, first-glance reaction to the book, but it certainly looks like a wonderful, evocative and psychologically-intriguing game. Play alternates between night and day phases: night for the war, day for the human stuff around and in spite of it that actually represents a much more interesting part of the game. What’s more fearsome” a German ack-ack shell, an NKVD secret police interrogation, or falling for one of your fellow pilots, knowing all the risks involved and the probably heartache? Do you go with the flow or buck the system? Are you a victim of the Stalinist state, or its willing and enthusiastic collaborator? This is a lapidary project, carefully cut, finely polished (just take a look at the carefully detailed character sheets and mission outlines freely available on the Bully Pulpit site, as well as the extensive preview). It’s intended to do something very specific, that’s less about war and more about people caught up in the grinding iron gears of war. It looks powerful, it looks clever, but just as much as that, it actually looks moving. An impressive achievement for something that also looks fun and playable.